Australia has a perfect right to form associations, groupings, dialogues and alliances with whomever it chooses. But wise statecraft does not deal only with entitlements and rights. 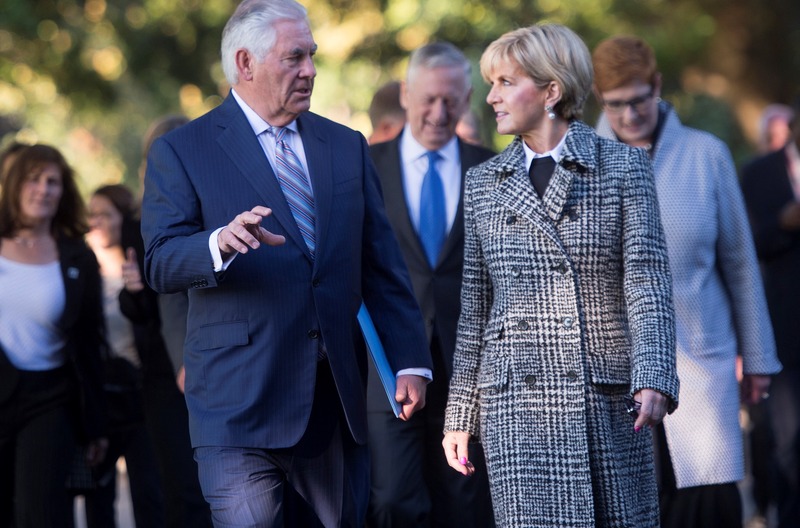 The resurrection of the Quadrilateral Security Dialogue (QSD), a proposal that would bring Australia into a strategic grouping with India, Japan and the US, has again been floated, this time in ministerial talks between Australia and Japan in Tokyo. Australia has a perfect right to form associations, groupings, dialogues and alliances with whomever it chooses. Foreign, including Chinese, criticism should not be regarded as a barrier. However wise statecraft does not deal only with entitlements and rights, it also considers consequences, need, timing and the best use of limited resources. The option of pursuing a four-way strategic grouping between Australia, India, Japan and the US needs to be considered from these perspectives. With regard to consequence, it would be irresponsible not to consider the impact on China’s security perceptions. Will a Quad arrangement increase perceptions among China's leaders that the US is leading an effort to contain China’s rise? Probably, because we know that, historically, China has feared encirclement. Will it strengthen the influence of hawks in the PLA who regard peaceful coexistence with the US and other Asia Pacific great powers as fanciful? Again, probably. Will it increase the overall level of distrust in US-China, Japan-China and India-China relations? This is also likely. Could it lead to China increasing its levels of defence spending? Yes, quite possibly. China’s defence spending as a share of GDP is currently less than half that of the US. Beijing could increase this figure without placing undue strain on its economy. Will a Quad reverse China’s land reclamation and building of military facilities in the South China Sea? Almost certainly not. It is likely that only the use of force could now bring that about. No country has an appetite for a war over military installations that are currently not harming any state’s security and prosperity. It should also be added that public denials that such a grouping 'has nothing to do with China' would ring hollow. Politicians who participate in this kind of dissembling are not serving their country’s long term interests. More distrust simply adds up to a worsening of Australia’s security environment. Clever strategy is about maintaining deterrence while avoiding an escalation of tensions. Given all these risks, is formalising a four way quasi-alliance something we need to do at this juncture? To start with, Australia’s close alliance with the US is at record highs and needs no further strengthening. Moreover, Australia shares strong and improving bilateral military ties with both Japan and India. These include strategic-level talks as well as practical forms of cooperation, including naval and maritime security exercises. Australia also has a three-way arrangement with the US and Japan, the Trilateral Security Dialogue, which has facilitated closer relations including limited forms of intelligence cooperation and a bilateral logistics agreement. If we ever needed to operate in a coalition force with either country, these habits of cooperation, and the personal connections they engender, would position Australia well. So why go further? Why form this coalition now when we already have strong bilateral linkages with each of the individual countries that would form the QSD? If there is a need for a balancing coalition this should happen when the threat becomes clearer. What might be a manifestation or indication of such a threat? China using force would be an indication, perhaps by attempting to enforce an air identification defence zone, or shooting down or sinking an aircraft or ship traversing contested zones of the South China Sea. If China acted in this way it would be a sign of a state willing to use violence to achieve its ends. It would be a threat and there would be no alternative but to prepare for worse scenarios. It also needs to be understood that Japan and India each have their own rivalries with China, including unresolved and bitter territorial disputes. The Quad carries a risk, small but real, of sending ambiguous and unhelpful messages. It might suggest to some that Australia would take Japan or India’s side in these disputes, and might even be willing to become involved if the disputes escalate to conflict. There is also an opportunity cost to resurrecting the Quad. Australia should not increase cooperation with distant major powers like Japan and India at the cost of continuing to build closer relations with the countries in our close neighbourhood. Southeast Asia and the Pacific are our home and neighbourhood. Australian defence cooperation can arguably do more good there, reinforcing linkages and helping improve the skills and capabilities of local defence forces. The countries of Southeast Asia are the land bridge and waters that enabled attacks on Australia in 1942. Australia’s defence strategy has from the 1970s rightly placed high priority on these countries. Professor John Blaxland recently wrote that Australia needs to hold its nerve. As we begin to feel the first real turbulence from what Coral Bell called 'The End of the Vasco de Gama Era' - that is, the end of Western global dominance - Australia needs to parse its choices more carefully than ever before. It needs to gingerly step through a bewildering array of possible futures to find the path that preserves Australia’s interests but does not lead to war.